Scientists in Australia announced a startling discovery this week when they revealed that a piece of rock brought back by the crew of the Apollo 14 moon landings was actually originally from Earth. Writing in the journal Earth and Planetary Science Letters, the scientists suggested that the rock may have been part of debris catapulted to the moon from Earth after an asteroid collided with our planet billions of years ago. According to The Guardian, the rocks were gathered on the Apollo 14 mission, which was launched in 1971 and was the third space mission to land successfully on the moon. 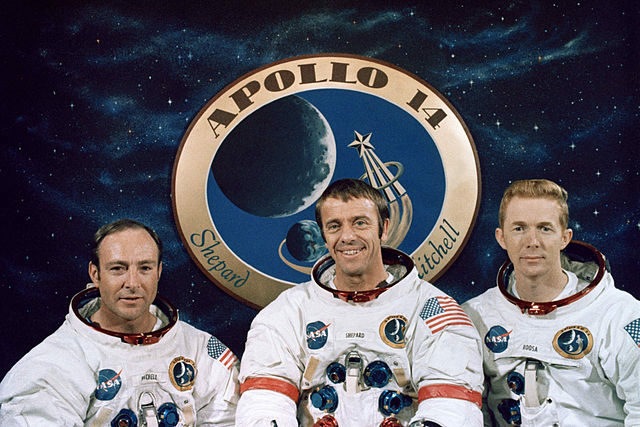 Astronauts Alan Shepard, Stuart Roosa and Edgar Mitchell spent several days orbiting the moon conducting scientific experiments and observations, and Shepard and Mitchell took part in a 33-hour space walk on the surface of the moon itself. 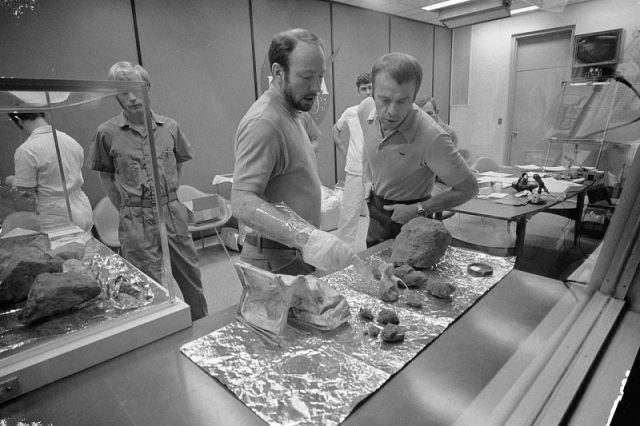 In addition, the astronauts brought back over 42kg of rocks with them. This haul of lunar material has provided us with a significant amount of important data about the composition and development of the moon itself. 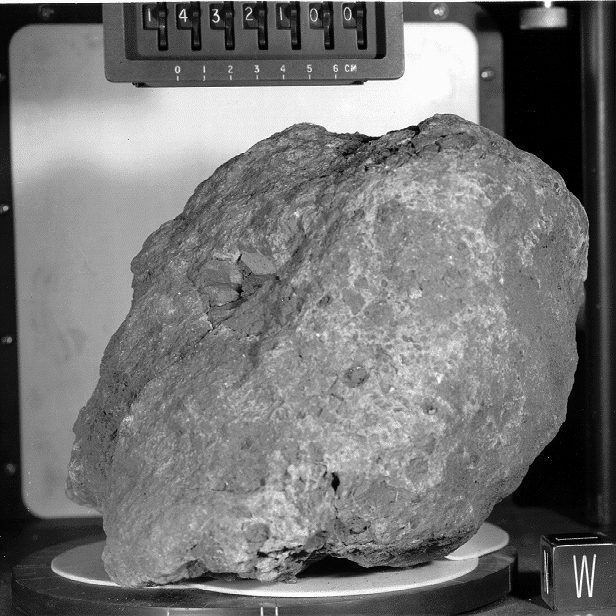 Sample 14321, aka Big Bertha, a 9.0 kg breccia that was collected at Station C1 near the rim of Cone Crater. Photographed in the Lunar Receiving Lab. 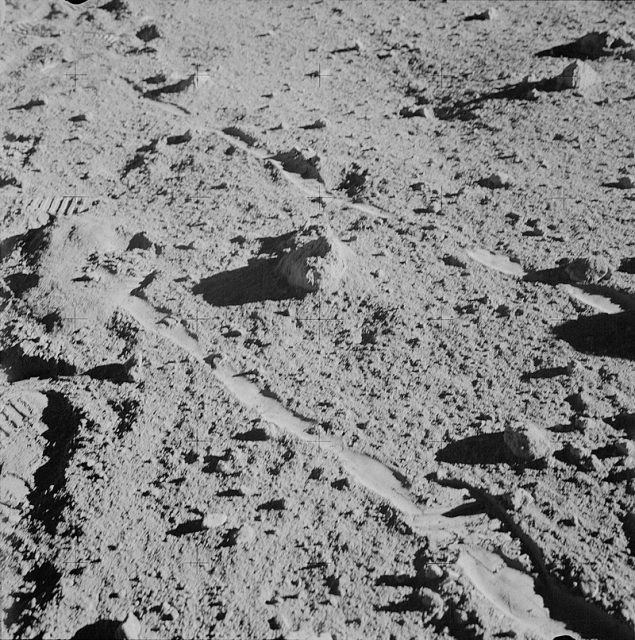 However, recent analysis of some of these materials has revealed that at least one of the lunar rocks picked up by Shepard and Mitchell may actually have originated on Earth. According to Professor Alexander Nemchin, from the School of Earth and Planetary Sciences at Curtin University, Western Australia, the composition of one of the rocks found on the moon is very similar to granite, with significant amounts of quartz inside. While quartz often occurs naturally here on Earth, it is extremely rare to find it on the moon. In addition, the team also analyzed the zircon found in the rock, a mineral belonging to a group of neo-silicates that is found both on the earth and the moon. They discovered that the type of zircon found in the rock is consistent with terrestrial forms, but not with anything previously found in lunar material. The scientists concluded that the rock had been formed in an oxidizing environment, conditions that would be extremely unusual on the moon. Nemchin suggests that these findings present strong evidence that the rock was not actually formed on the moon, but rather that it originally came from Earth. Although he did not rule out the possibility that the rock could have formed under briefly occurring similar conditions on the moon, he argued that this would be extremely unlikely. 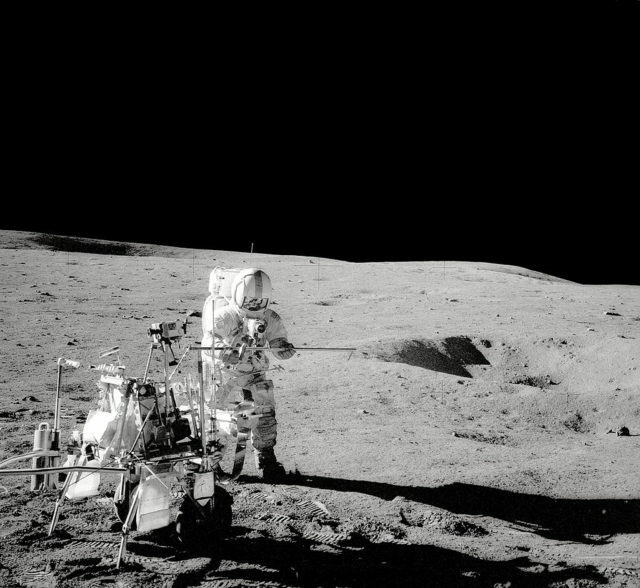 The two moon-exploring crew men of the Apollo 14 lunar landing mission photographed and collected the large rock pictured just above the exact center of this picture. Instead, the team put forward another hypothesis. 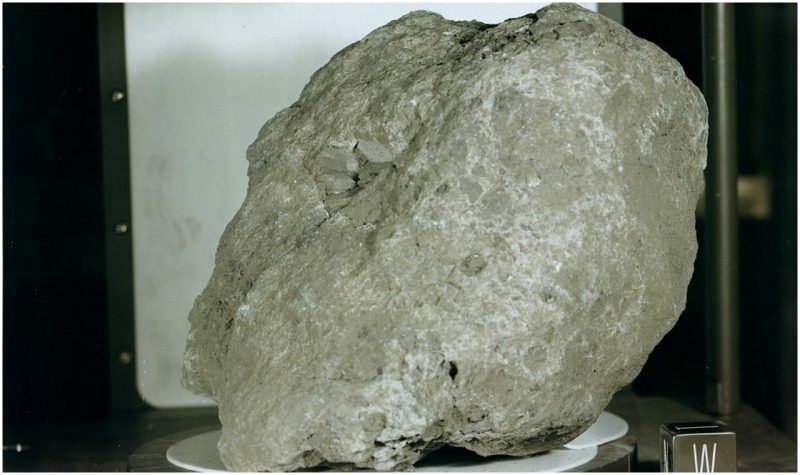 They suggested that it is possible for the rock to have been transported to the moon after its formation, possibly as a result of an asteroid collision with the Earth billions of years ago. According to this theory, the asteroid crashed into the earth billions of years ago, catapulting debris and rocks into space, some of which would have landed on the moon. This theory would explain why the rock seemed to have a chemical composition consistent with terrestrial rather than lunar planetary conditions. It is also consistent with theories about the nature of bombardment that modified the Earth billions of years ago. According to The Guardian, scientists believe that in the early stages of the Earth’s formation it may have been hit by asteroids and meteorites, causing significant disturbance to its surface. Furthermore, during this period it is thought that the mood was at least three times closer to the Earth than it is today, making it very likely that the moon would also have been hit by flying debris as a result of these collisions. If this theory is correct, the rock brought back by the crew of Apollo 14 is one of the oldest terrestrial rocks ever discovered. Analysis of the zircon dated the rock to around 4 billion years of age, slightly younger than the oldest known Earth rock, a zircon crystal discovered in Western Australia. These ancient pieces of stone may appear to be small, unassuming rocks, but they have the potential to transform our understanding of the Earth in its earliest stages of development.